Sciatica is generally described as a set of symptoms, primarily characterized by pain and discomfort, along with tingling sensations and numbness. Athletes frequently report experiencing symptoms of sciatica, however, there are many factors as well as a variety of injuries and conditions which can manifest these well-known symptoms. Piriformis syndrome is a disorder that is frequently confused with symptoms of sciatica. The piriformis muscle is commonly known among athletes and healthcare professionals as a significant muscle in the posterior hip. This muscle functions to control hip joint rotation and abduction and it is also a distinguishable muscle due to its inversion of action in rotation. The piriformis muscle also raises awareness as the various causes of piriformis syndrome, a condition suspected to be a potential source of pain and dysfunction, not only in athletes, but in the general population as well. The piriformis muscle originates on the anterior surface of the sacrum and it is securely held to it by three tissue attachments found between the first, second, third and fourth anterior sacral foramina. Occasionally, its origin may be so broad that it joins the capsule of the sacroiliac joint with the sacrotuberous and/or sacrospinous ligament. The piriformis muscle is a thick and strong muscle that travels out of the pelvis through the greater sciatic foramen, dividing the foramen into the suprapiriform and infra-piriform foramina. As it courses through the greater sciatic foramen, the muscle decreases to a point where it forms a tendon that attaches to the superior-medial surface of the greater trochanter, frequently integrating with the tendon of the obturator internus and gemelli muscles. The nerves and blood vessels found within the suprapiriform foramen are known as the superior gluteal nerves and vessels, and those found in the infra-piriforma fossa are known as the inferior gluteal nerves and vessels, including the sciatic nerve. Because of its broad size in the greater sciatic foramen, there’s a risk the numerous vessels and nerves that exit the pelvis may become compressed. 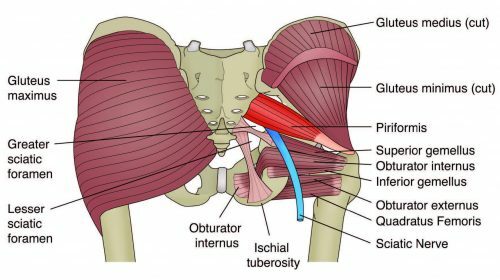 The piriformis muscle is closely associated with other short hip rotators as well, such as the superior gemellus, obturator internus, inferior gemellus and obturator externus. The primary difference between this muscle and other short rotators is its connection to the sciatic nerve. The piriformis muscle passes behind the nerve while the other rotators pass before it. Several anatomical variations have been previously diagnosed among the piriformis muscle. First, there may be additional medial attachments to the first and fifth sacral vertebrae and to the coccyx. Second, the tendon may merge with the gluteus medius or minimus or with the gemellus. Also, in approximately less than 20 percent of cases, the piriformis muscle may be divided into two different segments, through which part or all of the sciatic nerve may travel. Then, the muscle may blend with the posterior hip joint capsule as a conjoined tendon with the obturator internus. Additionally, the distal attachment of the piriformis muscle has been demonstrated to vary in proportion and position on the supero-medial surface of the greater trochanter. It can stretch across 25 to 64 percent of the anterior-posterior length along the greater trochanter, with 57 percent of it attaching more anteriorly and 43 percent more posteriorly. Last but not least, researchers studied its insertion point broadly and discovered that four types of insertions existed and these were characterized based on the relationship to the obturator internus. The variation of placement and width of the distal attachment of the piriformis muscle may influence the effectiveness of the concept known as the inversion of action. Furthermore, the connection between the piriformis muscle and the sciatic nerve has been a highly debated complication. It’s been previously concluded that there are several anatomical variations among the piriformis muscle and its connection to the sciatic nerve. The sub-types of this variation include: type 1-A, where the muscle is pear shaped with the nerve running anteriorly and inferiorly to this, found in 70 to 85 percent of cases; type 2-B, where the piriformis muscle is divided into two sections with the common peroneal nerve running between the two parts and the tibial nerve travels anteriorly and below, found in 10 to 20 percent of cases; type 3-C, where the peroneal portion loops over the top of the muscle and the tibial portion is found below, found in 2 to 3 percent of cases; and type 4-D, where the undivided nerve passes through the piriformis muscle, found in approximately 2 percent of cases. Moreover, it is also speculated that two other, very rare variations may occur, demonstrated by letters E and F in the diagram. Type 1-A is the most common variation, displaying the sciatic nerve as it passes below the piriformis muscle. The fundamental functions of the piriformis muscle are to provide hip external rotation and allow abduction at 90 degrees of hip flexion. During weight-bearing, the piriformis muscle restricts femoral internal rotation in the stance phase of walking and running. Also, it assists the short hip rotators in compressing the hip joint and stabilizing it. Because it can exert an oblique force on the sacrum, it may produce a strong rotary shearing force on the sacroiliac joint. Otherwise, this would dislocate the ipsilateral base of the sacrum forward and the apex of the sacrum backwards. 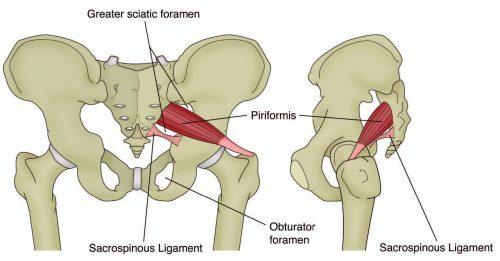 Since the piriformis muscle is the furthest behind of the hip external rotators because of its attachment on the anterior surface of the sacrum, it has the greatest influence to apply a rotation effect on the hip joint. Occasionally, healthcare specialists have found issues with the piriformis muscle where it appears to be tight and hypertonic, while the other short hip rotators which are found closer to the axis of rotation become inhibited and hypotonic. The most argumentative complication relating to the function of the piriformis muscle is its reversal-of-function role, best referred to as the inversion of action role. Researchers have suggested that as the hip approaches angles of 60 to 90 degrees and greater, the tendon of the piriformis muscle shifts on the greater trochanter. As a result, its line of pull becomes ineffective as a hip external rotator, however, it does contribute to internal hip rotation. Consequently, it reverses its rotation function at high hip flexion angles. The role of the piriformis muscle at several joint angles is an essential consideration for healthcare professionals who evaluate and treat the causes of piriformis syndrome. Frequently, it’s recommended to stretch the hip into flexion, adduction and external rotation to stretch the piriformis muscle over the glutes by utilizing the reversal of function concept. Nonetheless, more recent studies conducted through anatomical dissection have demonstrated that the attachment of the piriformis muscle onto the greater trochanter can change and, in some instances, it may insert in a position by which it may be unable to reverse its function, for example, in a more posteriorly placed attachment. Thus, stretching the piriformis muscle into external rotation when the hip is flexed beyond 90 degrees, based on the inversion of action role, would be ineffective as a treatment or misleading as an examination technique. Many decades ago, it was suggested that in some cases, sciatica symptoms may originate outside the spine as a result of the piriformis muscles. This hypothesis was supported soon after when specialists successfully improved an individual’s symptoms of sciatica by surgically dividing the piriformis muscle. Based on cadaver anatomical dissections, the researchers believed that the spasm of the piriformis muscle could be responsible for the irritation of the sciatic nerve. The medical term piriformis syndrome then became associated to sciatica symptoms, believed to be caused by a usually traumatic abnormality in the piriformis muscle with a focus on ruling out more common causes of sciatica, such as nerve root impingement caused by a disc herniation. It soon became an accepted interpretation but with no consensus about the exact clinical signs and diagnostic tests to differentiate it from other sources of sciatica. Piriformis syndrome can be defined as a clinical entity whereby the interaction between the piriformis muscle and the sciatic nerve may irritate the nerves and develop posterior hip pain with distal referral down the posterior thigh, resembling symptoms of true sciatica. Distinguishing the damage to this region typically follows exceptions of the more common causes of sciatica and buttock pain. More specifically, reports of buttock pain with distal referral of symptoms are not unique to the causes of piriformis syndrome. Similar symptoms are prevalent with the more medically evident lower back pain syndromes and pelvic dysfunctions. Therefore, a complete evaluation of these areas must be performed to rule out any underlying pathology. It has been suggested that the causes of piriformis syndrome can be held responsible for approximately 5 to 6 percent of sciatica cases. In the majority of instances, it develops in middle-aged individuals, an average or 38 years and it’s more common among women. 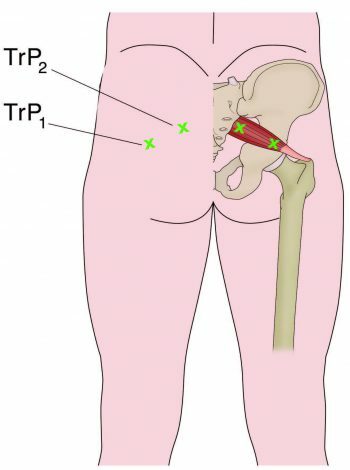 The causes of Piriformis syndrome can be associated to three primary causing factors: First, the referred pain may be the result of myofascial trigger points. Second, the entrapment of the nerve against the greater sciatic foramen as it passes through the infrapiriform fossa or within a variating piriformis muscle. And third, sacroiliac joint dysfunction causing piriformis muscle spasms. Other researchers presented an additional number of factors behind the causes of piriformis syndrome as follows: gluteal trauma in the sacroiliac or gluteal regions, anatomical variations, myofascial trigger points, hypertrophy of the piriformis muscle or spasms of the piriformis muscle, secondary to spinal surgery such as laminectomy, space occupying lesions such as neoplasm, bursitis, abscess and myositis, intragluteal injections and femoral nailing. The general symptoms described with the causes of piriformis syndrome include: a tight or cramping sensation in the buttock and/or hamstring, gluteal pain in up to 98 percent of cases, calf pain in up to 59 percent of cases, aggravation through sitting and squatting if the trunk is inclined forward or the leg is crossed over the unaffected leg and possible peripheral nerve signs such as pain and paresthesia in the back, groin, buttocks, perineum and back of the thigh in up to 82 percent of cases. When palpable spasm within the surrounding piriformis muscle occur and there is obturator internus pain and external tenderness over the greater sciatic notch, found in approximately 59 to 92 percent of cases, the individual must perform the Sims position to follow up an evaluation. The piriformis line should overlie the superior border of the piriformis muscle and extend immediately from above the greater trochanter to the cephalic border of the greater sciatic foramen at the sacrum. The examination will continue where the line is divided into equal thirds. The fully rendered thumb presses on the point of maximum trigger-point tenderness, which is usually found just lateral to the junction of the middle and last thirds of the line. It’s important to keep in mind that hip flexion with active external rotation or passive internal rotation may aggravate the symptoms of dysfunction. 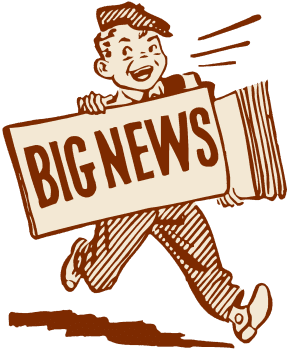 Additional findings for the evaluated causes of piriformis syndrome have demonstrated a positive SLR that is less than 15 degrees on the normal side. 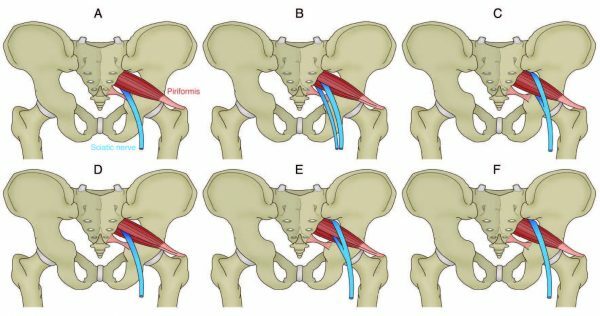 Other tests used to evaluate the causes of piriformis syndrome include, positive Freiberg’s sign, used in 32 to 63 percent of cases, involves the reproduction of pain on a passively forced internal rotation of the hip in the supine position, believed to result from passive stretching of the piriformis muscle and pressure of the sciatic nerve at the sacrospinous ligament. Pacers sign, used in 30 to 74 percent of cases, involves reproducing pain and weakness on resisted abduction and external rotation of the thigh in a sitting position. Pain in a FAIR position used to evaluate dysfunction, involves the reproduction of pain when the leg is held in flexion, adduction and internal rotation. Furthermore, an accentuated lumbar lordosis and hip flexor tightness predisposes an individual to increased compression of the sciatic nerve against the sciatic notch by a shortened piriformis. Electro-diagnostic tests may also prove useful to diagnose piriformis muscle complications. Conventional imaging, such as X-ray, CT scan and MRI, tend to be ineffective in diagnosing the presence and causes of piriformis syndrome. However, some value may exist in electro-diagnostic testing. The purpose of these tests is to find conduction faults in the sciatic nerve. Findings such as long-latency potentials, for instance the H reflex of the tibial nerve and/or peroneal nerve, may be normal at rest but become delayed in positions where the hip external rotators are tightened. It’s been established that the tibial division of the sciatic nerve is typically spared, the inferior gluteal nerve that supplies the gluteus maximus may be affected and the muscle becomes atrophied. However, testing of the peroneal nerve may provide more conclusive results as they’re more likely to be the impinged portion of the sciatic nerve. The H-wave may become inactive during the painful position of forced adduction-internal rotation of the affected leg. Researchers argued that piriformis syndrome is a frequently over-used term to describe any non-specific gluteal tenderness with radiating leg pain. It was discussed that only in rare cases is the piriformis muscle involved in nerve compression of the sciatic nerve to legitimately qualify as one of the causes of piriformis syndrome. It was cited that there is only limited evidence and cases where the diagnosis of the causes of piriformis syndrome can be made. First, where there is compressive damage to the sciatic nerve by the piriformis muscle. In several isolated studies, the sciatic nerve was seen to be compressed by the piriformis muscle in instances such as hypertrophy of the muscle, general anatomical abnormalities such as a bifid piriformis muscle and due to compression by fibrous bands. Also, trauma and scarring to the piriformis muscle can involve the sciatic nerve. It is possible that rare cases of true piriformis syndrome have been caused by direct heavy trauma to the piriformis muscle due to a blunt trauma to the muscle. This is termed as post- traumatic piriformis syndrome. Researchers supported this argument by stating that it is more likely that, given the anatomical relationship of the piriformis muscle to the various nerves in the deep gluteal region, the buttock pain represents entrapment of the gluteal nerves and the hamstring pain entrapment of the posterior cutaneous nerve of the thigh, rather than the sciatic nerve alone. This demonstrates the medically analyzed circumstance in the absence of distal sciatic neurological signs. Whether the piriformis muscle is the cause of the compression has not been clearly established. It is possible that the obturator internus/gemelli complex is an alternative cause of neural compression. The researchers have suggested utilizing the term deep gluteal syndrome rather than piriformis syndrome. 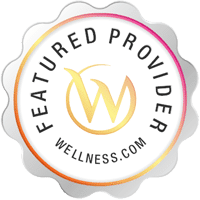 When it is believed that a factor which is considered one of the several causes of piriformis syndrome exists and a healthcare professional feels that a proper diagnosis has been made, the treatment will usually depend on the cause behind the dysfunction. If the piriformis muscle is tight and it spasms, then initially conservative treatment will focus on stretching and massaging the tight muscle to remove the piriformis muscle as being the source of the pain. If this fails, then the following have been suggested and may be attempted: local anesthetic block, typically performed by an anesthesiologist who has expertise in pain management and in performing nerve blocks; steroid injections into the piriformis muscle; botulinum toxin injections in the piriformis muscle; and surgical neurolysis. Therapist-directed interventions, such as stretching of the piriformis muscle and direct trigger point massage, can also be used as treatment. It’s been encouraged that piriformis muscle stretches are done in positions of hip flexion greater than 90 degrees, adduction and external rotation to utilize the inversion of action effect of the piriformis muscle to isolate the stretch to this muscle independent of the other hip external rotators. However, recent evidence utilizing ultrasound investigation demonstrated that there was no interaction between hip flexion angle and the thickness of the piriformis muscle tendon in both internal and lateral hip rotation stretching, which suggests that the piriformis muscle does not invert its action. Furthermore, researchers who performed cadaveric studies found that the piriformis muscle insertion is a lot more complex and varied than initially believed. It is possible that the piriformis muscle may invert its action only in some subjects but not in others. As a result, due to the disagreements and confusions over the inversion of action concept, it is recommended that healthcare professionals should performs two variations of a piriformis muscle stretch: stretches in flexion, adduction and external rotation and stretches in flexion, adduction and internal rotation. Pigeon Stretch for left piriformis muscle: hip flexion, neutral adduction and maximal hip external rotation. Stretch for left piriformis muscle: hip is in flexion, neutral adduction and maximal external rotation. Short leg posterior chain stretch for right piriformis muscle: hip is in 90 degree flexion, adduction and neutral rotation. The most appropriate suggestion to palpate the piriformis muscle trigger points is in the following recommended position. In this posture, the healthcare professional can feel for the deep piriformis muscle trigger points and apply a constant pressure to relieve the trigger points as well as apply a flush massage to the muscle in this position. In this position, the large gluteus maximus is relaxed and it is easier to feel the deeper piriformis muscle. The piriformis muscle is a deep posterior hip muscle that is closely related anatomically to both the sacroiliac joint and the sciatic nerve. It is a muscle that is a dominant hip rotator and stabilizer, with a tendency to shorten and become hypertonic. Therefore, stretching and massage techniques are best recommended and utilized to reduce the tone through the muscle. In conclusion, it has also been suggested in compression and irritation of the sciatic nerve, most commonly referred to as piriformis syndrome. In athletes, piriformis syndrome is a common disorder identified by the irritation and inflammation of the piriformis muscle which can generally result in the compression of the sciatic nerve. This impingement of the nerves and its surrounding tissues can cause the symptoms of sciatica to manifest, characterized by pain and discomfort, along with tingling sensations and numbness, affecting an athlete’s performance.